Caleb Roth was born in March of 2013 to parents Stacy & Derek Roth. His big brother Emmet is two years older than he is. Caleb lived a normal life for his first 2 ½ years, but on July 31, 2015, his grandmother Trudy Roth noticed a bump on his neck. It was an unusual bump, but she didn’t think it was anything more than swollen glands. Caleb was taken to the pediatrician as a precaution, and the doctor sent Caleb to Lutheran General to get some blood work done. Caleb’s fever spiked that very night, and more extensive bloodwork was done. They also did an ultrasound. After the results were in, the doctors were forced to tell Derek and Stacy the unthinkable. 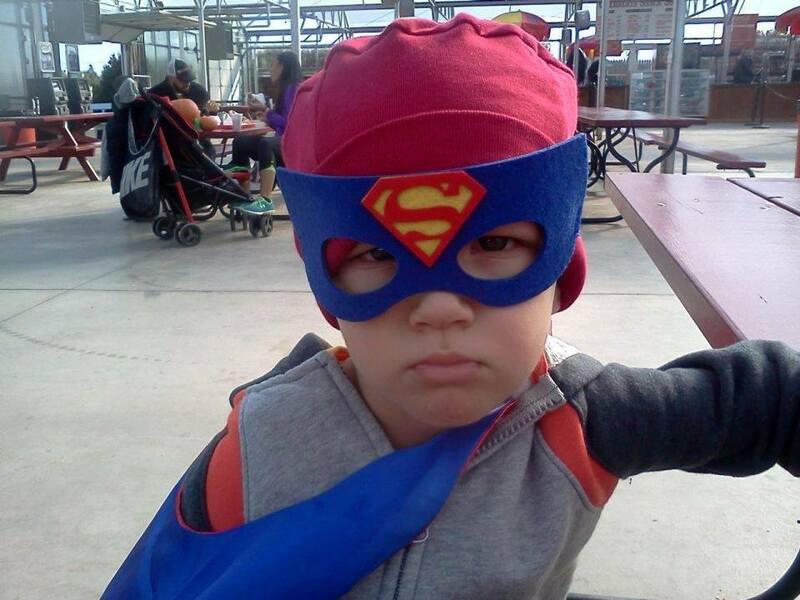 Caleb was suffering from Stage 4 Neuroblastoma—a rare cancer of the adrenal gland that typically affects infants. Luckily for Caleb, the leading expert in this field was located in the Chicago area—at the University of Chicago’s Comer Children Hospital. Caleb was transferred there immediately, and was introduced to a grueling protocol that had been devised by the doctor. It included six rounds of chemotherapy, harvesting of Caleb’s stem cells, surgery to remove the mass, followed by further chemotherapy, and two rounds of stem cell transplants. An adult could never survive such a grueling protocol, but because Caleb’s organs were so young and strong, and because he is not really aware of what is going on, the doctors were optimistic. Caleb made it through the first rounds of chemo. He had intense periods of fever spiking and dehydration after each round, but he was still strong. He also made it through the seven hour surgery. Unfortunately, while the cancer was gone from his soft tissue, they found some remaining in the bone marrow in his hip. That meant he wasn’t healthy enough, and it was too risky to do the stem cell transplant. The doctors had to leave the protocol and enter experimental waters. The only child before Caleb who found herself in the same situation was the daughter of NFL defensive lineman Devin Still. (She is now five years old, by the way, and doing well). That’s where we stand right now. Caleb is undergoing further chemotherapy to try to kill the remaining cancer cells. It’s an experimental approach, but they are using the chemo that is usually given to cancer patients who are in remission, along with antibodies to build up his immune system. His body has not responded well to those antibodies, however. He has been recovering the past week, and they hope to try another round of antibodies in a few weeks. If he responds better this time, they feel it would be helpful if they could do it one more time after that. Then it’s time for the stem cell transplants, 42 days apart, and a full hundred days of isolation after that. It’s a tough road ahead, but friends and family have really been rising to the challenge—helping out Derek and Stacy whenever and wherever they can. Stacy decided not to return to her teaching job so that she could care for Caleb full time. Derek has had to take time off work (through the Family Leave act), and so far (thank God), they are still covered by insurance because of that job. Medical bills are approaching the one million dollar mark. Stacy’s family organized a fundraiser for Caleb at the Beacon Tap in Des Plaines in November and raised about $11,000 to help out the cause. A GoFundMe campaign has raised another $20,000. Obviously this whole experience has taken a toll on everyone. Trips to Comer Children’s Hospital are frequent—and the University of Chicago isn’t exactly around the corner for the Roth Family (they live in Des Plaines). Caleb’s big brother Emmet had to be taken out of pre-school as a precaution because he was encountering too many germs/illnesses that would have been dangerous for Caleb. Emmet is very close to his little brother and is having a very hard time dealing with all of this. To top it all off, Derek and Stacy had just begun remodeling their house and were in the midst of construction when Caleb was diagnosed. Not only were they going through all of this, but they had no home to return to when Caleb was released from the hospital. They were living with Stacy’s parents. Construction has been completed now, and they are finally back home. The doctors are optimistic that this experimental protocol will work on Caleb as it did for Leah, Devin Still’s daughter. And through it all, Caleb is still a normal (almost) 3-year-old boy. He loves superheroes. He plays in his “hospy-tal” room. His feeding tube is a normal part of his life, and he no longer says “no pokey” when the nurses come into his room. His smile still lights up the room, and he still smiles often. He has lost a little hearing (high frequency), but other than that, he has emerged relatively unscathed. And Caleb’s family still maintains the most important thing of all: hope. I wrote this poem for Caleb a few months ago. His father Derek (an artist) hopes to illustrate one day when he gets the chance, and it will be made into a book. Comer’s has already requested a copy of it, so they can have it for the other kids there.